Are you creating different types of social media content for your customers, fans and followers? If not, consider for a moment why there are so many different social media platforms? There’s YouTube, FaceBook, Twitter, Snapchat, Google+, LinkedIn, Periscope, Ning, Blogger, Flickr, Pinterest, … aaaah the list is just too long! People don’t use YouTube for B2B information or Twitter for hilarious videos of cats, and this is why you should be creating different types of social media content specifically for the platform it’s to be published on. Not only will you be more interesting, you’ll improve your credibility and your conversion rates. 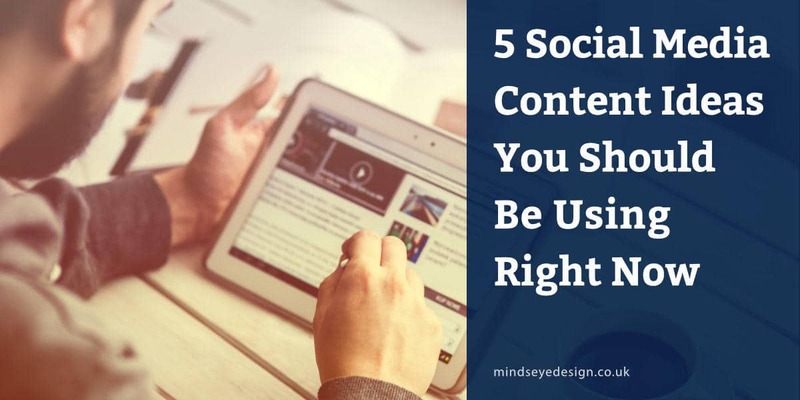 So, with that out of the way, here are 5 awesome social media content types you should be creating right now to engage, entertain and inform your followers. Multimedia content includes videos, animations and anything that involves the moving image (and usually sound). A good example of multimedia content might be an explainer video instead of a long blog post. Many people find watching videos more enjoyable and quicker to learn from than reading. It therefore makes sense to use videos for certain types of content. Videos also enable you to engage with your audience on a personal level. Viewers see and hear every blunder, move and facial expression, which helps them form bonds and feel like they know and trust you. Perhaps you’re a B&B owner who could use video to show local attractions or the facilities on offer at your B&B. Maybe you’re a partner in a law firm which would benefit from showing your friendly and personal service. You might even be a jeweller who could demonstrate how much thought, effort and care goes into every item of jewellery you create. Show your personality and build trust with personal videos or use animated explainer videos to educate and build trust in a product. The creative potential is huge and almost every business can benefit from producing and using multimedia content in their marketing. One final thought, people tend to buy more from people and businesses they trust. Everybody loves something for free, right? Creating worthwhile contests for your audience, encourages them to interact with you because they enjoy it and there’s a prize to win. Every time a person shares your contest or website or whatever it is you have asked them to do, your business is going viral. All because you gave away something for free and got people involved in something they enjoyed taking part in. Well, there are some things to be aware of before diving in. Below is a simple diagram of the consumer engagement pyramid. In its simplest form, it shows the level of engagement required from the consumer in order to enter specific types of contests. More effort is required the higher you go. Level 1/ Starting at the bottom with the lowest barrier to entry, give-aways and sweepstakes are the easiest for anyone to enter. It’s such an easy type of contest to take part in, that it tends to attract the most entries. What it does not do though, is attract the people who are really engaged with your business or brand. Level 2/ The next level up might involve asking your competitors to enter some form of text submission. This might take the form of a recipe competition, story or poem but the difference here is that your entrants need to be more involved. It’s also here that we start to see a drop off in the number of entrants. Level 3/ Photo competitions are very popular but to win takes effort and maybe even some expensive gear. So, once again your entrants need to be very engaged with your business. The likelihood is that you will see fewer entrants than level 2 but the consolation is that these people will be some of you best brand ambassadors. Level 4/ Right at the top of the pyramid are the multimedia contest entries. These require time, storylines and a heap of effort. Prizes for these contests need to be high value in order to encourage your best fans and customers to enter. Basically, the more effort required to enter, the greater the prize needs to be! It’s essential you know your audience and plan your contests accordingly. 1/ What the contest is about. 2/ Why they should enter it. 3/ What they have to do to enter / win. 4/ How and when they will be notified of winning. It sounds obvious but so many businesses set up their contests and just expect customers and followers to find them! This isn’t the ‘Field Of Dreams‘ movie, so you’ll need to let people know that you’re holding a contest via social media, email newsletter and any other means you can. Letting your customers know first is the best way to ‘switch on’ your most engaged followers and help you build momentum throughout their social media platforms. Now everyone knows about your contest, are you ready for the response? If your contest goes viral, you might be looking at judging a huge number of entries or at the very least managing and responding to masses of social media dialogue. 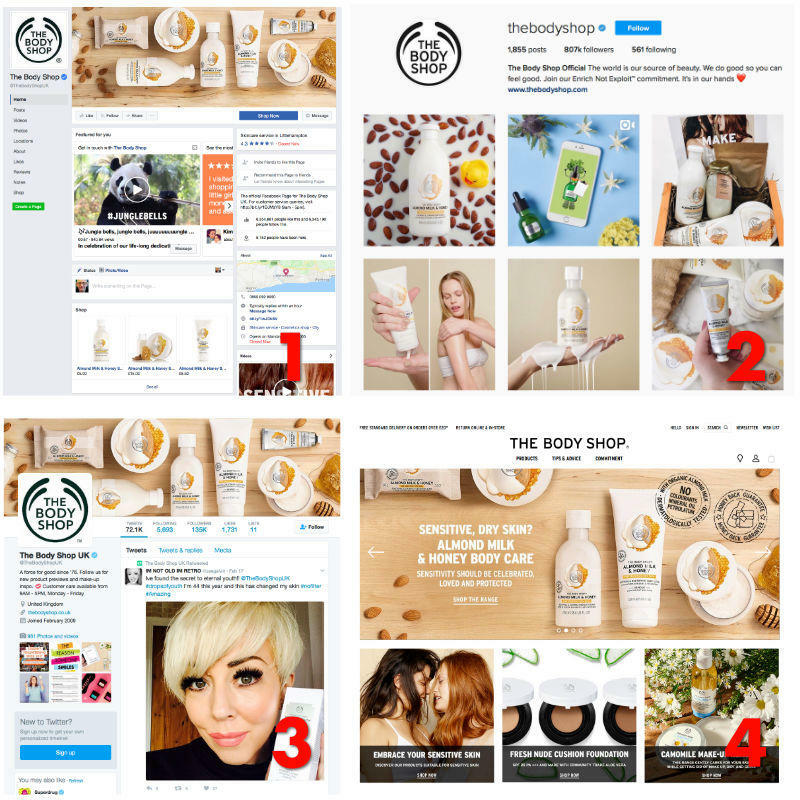 Every social media platform has their own set of rules and guidelines relating to holding contests on their platform. You need to adhere to these rules or risk loosing your presence on their platform. FaceBook have their own contest guidelines page as do Twitter. Stick to the rules and you shouldn’t have any problems. So to wrap up, social media contests can be great fun, especially when you involve your followers and ask them to provide their own content as part of the competition. This ‘User Generated Content’ or UGC taps into the fun side of competing, which many people really enjoy. It’s also a great way to generate content for your website and/or social media platforms. Now go be inventive, have fun and give away some cool prizes! 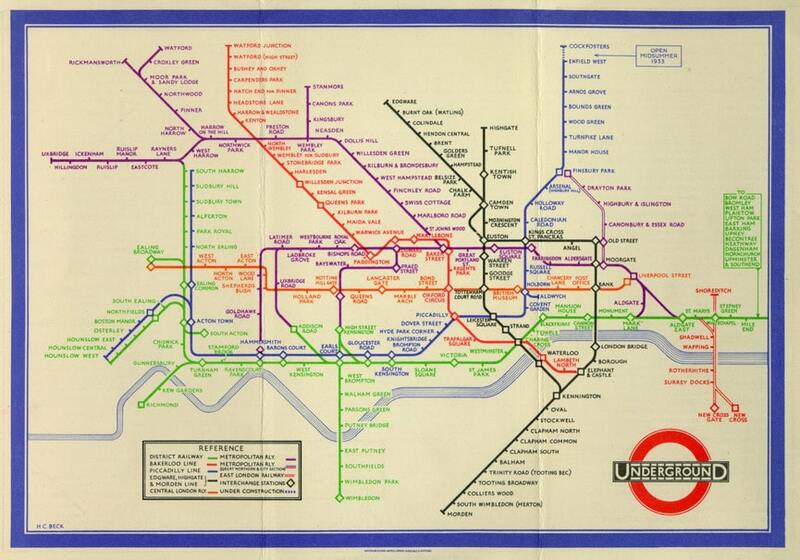 From 32,000 year old cave paintings to the London Underground map by Henry Charles Beck in 1933, infographics have been around a very long time! Apparently, adding images to help explain text, makes it 25% more comprehensible than if no images were used at all. This infographic helps explain why. The main thing to remember about infographics, is that you need to tie the content into your business and keep it relevant to your audience. Make it easy to view. Make it a manageable length and size. Check your facts and figures. Now you have some knowledge about infographics, what to create and how to create them, our advice is to get cracking. According to Hubspot, infographics are “liked” and shared on social media platforms 3X more than any other type of content! We’d love to see what you create or if you’d like some help with the design and graphical elements, feel free to get in touch. Although not an obvious form of social media content, ensuring your brand is consistent across all your platforms is imperative. Notice how similar they are (apart from the website which has no logo at all!) and how the images and colours convey the same messages and branding. This is what you should be aiming for too although we’re still not sure why the logo is missing from the website. Ensuring your overall identity is in place before you start, will increase your businesses credibility and help prove your identity online. Work through the first three items and tackle the second list as soon as you can afterwards. Obviously you can create all your graphics yourself or get your chosen designer to create them for you but whatever you decide, follow the CBBC rule, ‘Consistency Breeds Better Credibility’, to ensure your branding is doing its job. A list post is a blog post containing an organised list of tips, websites, techniques or facts etc using numbers or bullets. Sometimes list posts are sequentially organised or ranked by importance, other times they’re not! However, just like infographics, they enjoy some added benefits over standard unorganised text only blog posts. People like reading data in sequential list format because it’s easy to understand. Because list posts are usually topic specific, people know what they’re getting. Lists are helpful because the research work has already been done. List posts are easy to scan and find answers quickly. Lists are easy to collate, topics are endless and they work for most topics. Okay, say you’re a B&B and you want to write some useful blog posts for your fans and customers and post them on your website. 10 amazing restaurants near our B&B with meals under a tenner! 5 award winning attractions for kids within 5 miles of us. 7 beautiful countryside walks from our doorstep. 52 dog friendly beaches in Cornwall you can visit any week of the year. 10 romantic picnic spots near us that no one else knows about. Come up with a good heading that clearly defines what your list post is about. Decide whether to use numerals (5) or written numbers (Five) in your titles. We prefer numerals as they’re quicker to read. Keep the items in your list on a similar topic. Brainstorm your list of ideas before you start writing. To ensure you write the best post possible post, create an initial list that’s longer than your list post will actually be. Choose the best items for your list. Create a logical order to your list, depending on the content and what you’re trying to say. Start your post with your best two ideas. This ensures readers are interested from the beginning. Divide your post into short paragraphs so your readers can scan the content and find what they’re looking for. Break very long lists into sections so readers can jump to the section that interests them. Consider splitting long lists into a series of posts. Use plenty of headings to organise the hierarchy of the post. Use type size, weight, colour, position and contrast to organise your post, plus some images too. Don’t write long, text heavy paragraphs. At the end of your post, ask people for their ideas and comments. This encourages engagement and may give you more ideas for new lists! Hopefully that’s given you some ideas on how you can successfully implement list posts into your social media content strategy. They’re quite easy to create and can be of great value to your audience. The good and bad thing about social media is that it’s immediate, which means it’s crucial you respond to your users’ queries and comments quickly. Responding to questions and complaints promptly creates a loyal user-base and shows your customers you care about them. Also, on some social media platforms, replying within a particular time frame will unlock certain badges. Facebook does this by showing your users how quick and efficient you are at responding to their queries and comments. Instead of randomly posting and uploading images etc to your social media platforms, create a social media content posting schedule. Use your schedule to help you post your social media content on a regular basis. Doing this will help your users engage with you because they know when you are going to post next. Posting at the correct time of day can also engage your users more effectively. For example, posting to Facebook might generate greater results if done between one and four o’clock on Thursday or Friday. Tweeting on Twitter between one and six o’clock in the afternoon, Monday to Friday might yield more interest because people are looking for news during that time of day. If you post regularly at certain times during the week and even certain times of the day, your users will expect to receive your information at those times. This will help with your engagement. Many social media platforms enable you to measure and monitor how your users interact with the content you provide. Regular inspection of this information will help you formulate a plan for producing social media content that is more suited to your users. Knowing if your users prefer images or informational learning posts will help you provide and deliver more of that content type. Stay on top of this information to stay in touch with your users.